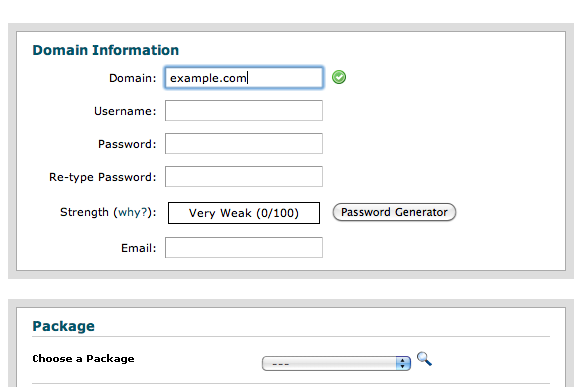 WHM makes it very simple to create a new account for any domain name. Once you have created a hosting package, you need to follow the steps below. 4. Just press tab and it will automatically make a username, select a strong password and then select a package to assign to the hosting. 6. The system will take sometime to create the account and it will be displayed on your screen once it is done. 7. Make sure the name servers of your domain are pointing to your reseller account name servers and then within 2-24 hours, your hosting will start working. 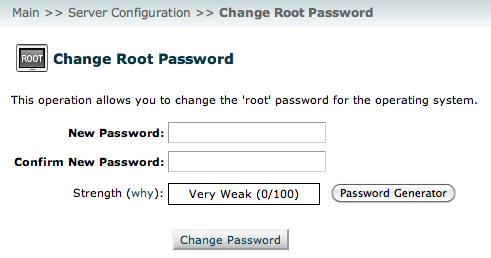 How to change the WHM password? Please follow the steps below to change your WHM password. Note: You need to be our reseller hosting customer to be able to get WHM access. 1. 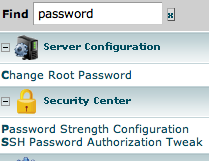 Login to your WHM with your existing password. 3. Enter the new password, please make sure it is strong. What software can i use to automate my Reseller Hosting business? If you are running a reseller hosting business which is on a steady growth and instead of manually creating invoice and generating cpanel accounts, you would like to automate the billing / invoicing part then should be looking for a software which allows you to handle all your sales of hosting, domain name, billing, invoicing and reporting for you. We have been using whmcs.com (Web hoisting client management and billing solution) for a long time now have been fully satisfied. You can buy the software or rent it from then at a cheap licensing fees and take a big load off your shoulders. Skeleton directory in WHM tells you the location of the folder where you can place files for your clients. Any files in the skeleton directory will automatically be uploaded to each new cPanel which is created by the Reseller. Note: The files will not appear in cPanel’s which were already created. 1. How can i do cPanel Branding? Can i use my logo to Brand cPanel in Reseller Hosting? This feature allows our reseller hosting customers to brand their cPanel. This means that they can create their own logo and make it appear on each of their customer’s cPanels. To do this, you would need go to WHM and click Branding in the left hand menu (towards the bottom under the cPanel category) and then follow the instructions from their.